Barack Obama is a source of ultimate frustration for Republicans. They don�t have anything on him, so they have to make up things. At least Bill Clinton had the courtesy to get a BJ, so they could overreact as though he lied us into a war or something. But Obama has a clean slate. So they call him a Communist, a Socialist, a Nazi, a traitor, and most of all, a Kenyan. On that subject, here�s some good news. "Margines also ordered Taitz to pay the college $4,000 to cover the resources spent defending itself�"
++++++++++++++ I especially like that part! What a ridiculous NON-ISSUE! Thanks Tom for the post. Great pic too. Maybe she and Bachman could team up as the GOP "dream ticket" for 2016. Read and noted. Michele Bachman, owns the title Batshit Queen of the House, and seriously doubt that Orly Taitz will ever replace Bachman even if Orly were ever elected. Orly has had only one issue: The Birther issue of Obama where she has effectively been shut down and put her into her place. Bachman, on the other hand, continues to put herself into many political issues and continues to say the most outrageous comments ever heard in Congress. Clearly, Taitz needs her meds changed. Good on the Judge. I love the fact that she has to pay $4000, as well, for wasting everyone's time....what about an "air pollution" tax added to that? Just to let you know Tom, even though I don't always comment on your articles, I don't just note them, but I actually read them. I don't know I can't even imagine using this woman as my Dentist. There is something odd and just not fully there with this woman. "Margines also ordered Taitz to pay the college $4,000 to cover the resources spent defending itself"
HA! Good! What a nutjob she is! But then, there are ALOT of those in the GOP, Tea Party & Faux Noise! Dandelion just came from seeing two different dentists,a republcan and a hunter. So goys what new lie will they come up with???????? 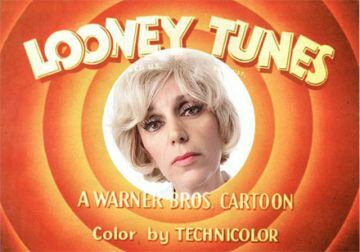 Orly Taitz was born to a Jewish family in Chişinău, Moldavian SSR in the Soviet Union (present day Moldova). Both of her parents were science teachers. In 1981, Orly immigrated to Israel, where she obtained a dentistry degree at Hebrew University. In 1987, she met Yosef Taitz who proposed four months later. Orly immigrated to the United States in May 1987, marrying the Latvian-born Yosef in Las Vegas, Nevada. Taitz became a naturalized United States citizen in 1992. She received her law degree from Taft Law School and was admitted to practice law in California in December 2002. She is NOT a Canuck by birth, thank goodness. There is a lot more info on her shenanigans listed in Wikipedia that is a bit of a hoot to read http://en.wikipedia.org/wiki/Orly_Taitz . I particularly like the one about taking an attorney misconduct decision to SCOTUS because the misconduct sanctions were repeatedly upheld by the lower courts. It was assigned to Injustice Thomas who denied her request. Unbelieving, she appealed to Chief Justice Roberts, who in full court, denied it again. The woman is 7 beers short of a six-pack! She was sanctioned to the tune of $20,000. I question whether this will be the end of her birther crap because the woman is a lunatic. However, it can last no more than 4 more years because at that point, Mr Obama will no longer be POTUS, or she will be in an asylum for the criminally insane, whichever comes first. OMG Tom! Don't give these nut-puppies suggestions! ;) :"She can go to work for Rupert and become one of the most credible goose-steppers on Faux Noise. Or she could teabag a fellow Republican in a safely gerrymandered district in 2014, get elected, and take on Michele Bachman for the title Batshit Queen of the House." When some call President Obama a Communist, a Socialist, a Nazi, a traitor, and Kenyan they are code names for the N word they can only use at their KKK meetings. I am with Janice on that one, even though sometimes I think it is partially a subconscious prejudice.....I am giving them the benefit of that doubt, but its probably not even hidden amongst themselves. Boy they get mad when you call them on it, as if they are guilty. I think that calling him the "savior" or "superman" was the more fitting names they bestowed upon him. Aside from those, I would add "hottie" to the list. They are just too jealous to give it to him, but he totally owns it; I still get that warm feeling inside when I hear that song he sang........"I'.......m.............soooooo in lovvvvvvvvve with you"
For those who are not familiar with college rankings (other than Big 8 and Big 10, etc.) --Occidental College is a top ranked liberal arts college with admissions and coursework as tough as Ivy League...and he did well enough to be admitted to highly selective law school--that should suffice for anyone on college performance questions. College records would not include evidence of citizenship meeting a court's standards for evidence. You would think all the birthers would give it up and go away quietly by now. Getting tired of hearing about the birthers. Good riddance to them and their equally nutcase cousins, the truthers. John's idea of Taitz and Bachmann as the dream team for '16 is a good one. It would provide every commedian and talk show host with an overload of material. Dave wonders what about sister Sara...she would have to be Secretary of State, of course. After all, she's qualified after spending those years directly observing Russia! At least it costs her a nice piece of change.